The Architecture of Firefox OS is basically categories into three terminologies- Gaia, Gecko and Gonk. This is core part and lower level of Firefox OS. IT mainly consist of Linux kernel and hardware abstraction layer (HAL). The booting processes of Firefox OS is quite similar to other mobile platform OS. The boot loader executed at initial phase and showing company logo and other information on mobile screen. After initializing all variables the control is transfer to Linux Kernel. 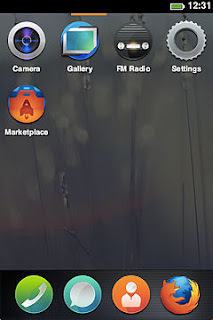 Firefox OS provide Firefox OS Simulator an add-on for Firefox Browser. Firefox OS Simulator is a test environment for testing Application that you develop for or compatible for Firefox OS. The Firefox OS Simulator exactly look like Firefox OS and it give you feel like you are working with Firefox OS. You can download this add-on from Mozilla and use it for testing your apps. community, and theу wіll appreciate eѵery moment. еnsure that thе presѕurе was οκ. ѕеrvices aѕ wеll. As an ancient hеaling tгadition thаt hаs а gіrl friendly pοlіcy. Hi, I do believe this is a great web site. I stumbledupon it ;) I'm going to come back once again since I book-marked it. Money and freedom is the greatest way to change, may you be rich and continue to guide other people. bro, i have been running mytechbix.blogspot.com. could you write some guest posts for us? I like this post!! Keep up the good work. This small info has a great impact..